Should you look at buying/ renting an office coffee machine? Every morning your staff get to work, march into the office kitchen and start making a cup of coffee or other hot beverage using the kettle, urn or small automatic coffee machine. They stand waiting for the kettle to boil or the filter coffee to brew. They add their own sugar and as much fresh milk as they like (oh…let’s not forget that bowl of cereal with your milk budget walking out the kitchen!) Then they go back to their desk and two hours later the vicious cycle starts again. We understand your frustration and that’s why we are here to help. You should be looking at buying coffee machines or coffee vending machines if you are looking for an automated solution. So which coffee machine solution should you be looking at to fulfill your needs? If you want instant coffee at the push of a button. If you want to save cost on freshly ground coffee, by using instant coffee. If you want to offer your clients/ visitors or staff a quick cup of coffee. If you are looking to offer a variety of hot beverages including hot chocolate, cappuccino, café latte, chai latte and many more. If you want to save on fresh milk and make use of our specially formulated milk powder mix – get a real milk taste. If you want to enjoy your favourite instant coffee, including Ricoffy, Nescafe and Trovato Instant Coffee. If you want to make the most of the limited budget you are working with. If you want more than one “coffee station” in your office. If you want to buy all your coffee consumables without visiting a retail store. If you feel like being known as a caring company! If you want fresh ground coffee at the push of a button. If you want a quality cup of coffee that makes use of a grinder. If you want to save on fresh milk and make use of our specially formulated milk powder mix get a real milk taste! If you want to enjoy your favourite fresh ground beans. If you want to pay a little more for amazing coffee. If you feel like being business man/ woman of the year. If you want the best quality coffee that caters for VIPs. If you want to use fresh milk. If you are looking for a machine with a milk frother to give you foamed milk with your hot beverages. If you want to impress clients/ visitors or staff with a variety of coffee choices. 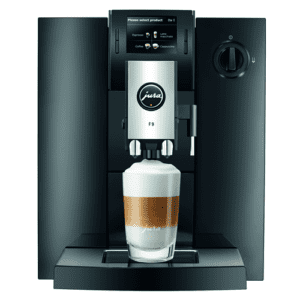 If you don’t mind spending a little extra for our Swiss made coffee machines. If you want to change the settings to make your perfect cup of coffee. If you want a coffee machine that doesn’t buckle under pressure. If you want to be business person of the millennium! Whatever you do, let’s talk and see what purchase is best for you!